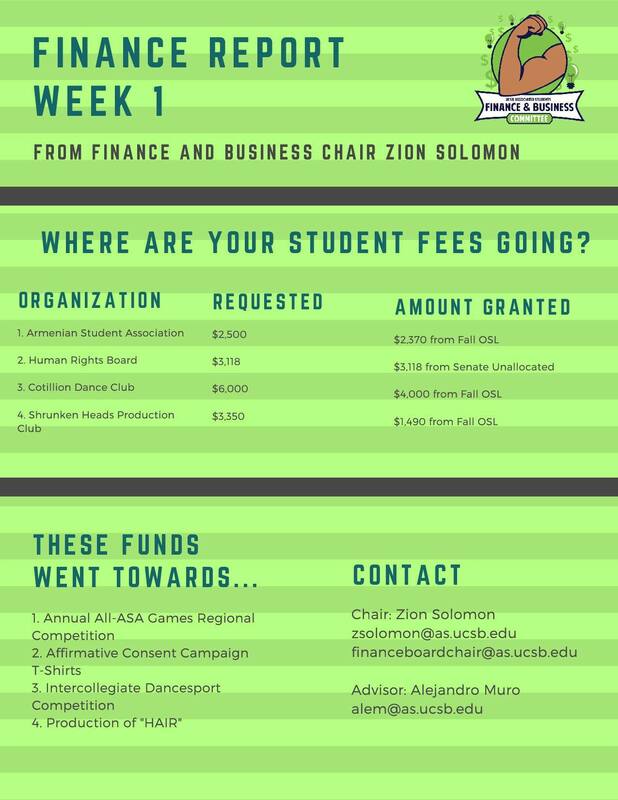 AS Finance and Business is an Administrative Committee under the Office of the Internal Vice President. 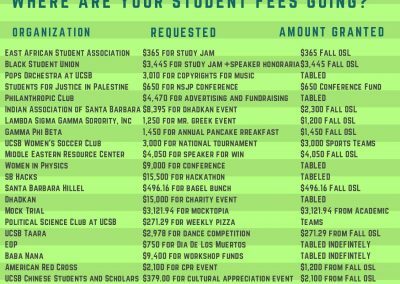 ASFB serves the UC Santa Barbara student body by facilitating the financial allocation of student fees. 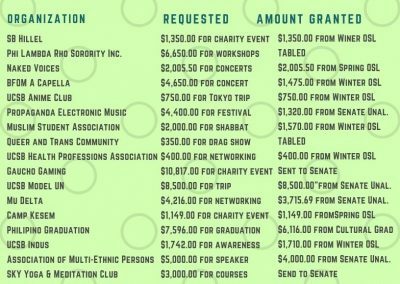 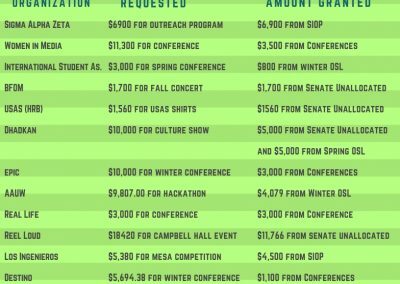 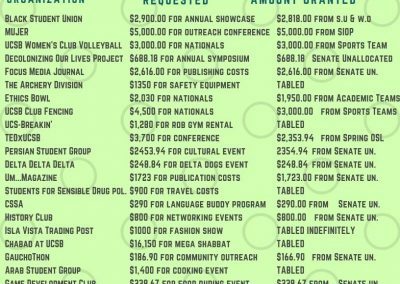 By streamlining the budgetary process to outreaching to student organizations, the committee seeks to make funds easier to access. 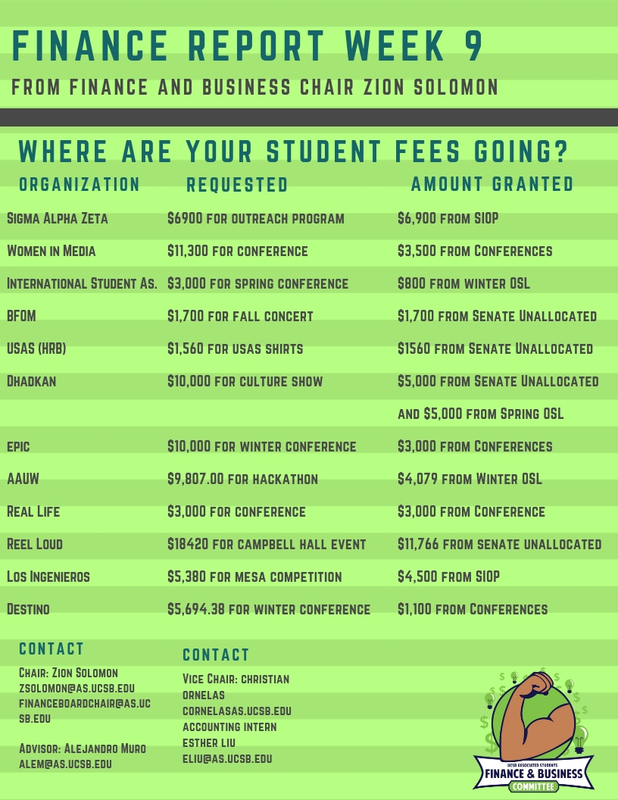 We make it possible to host programs, events, and other student expenditures and we are constantly looking for ways to improve and grow. 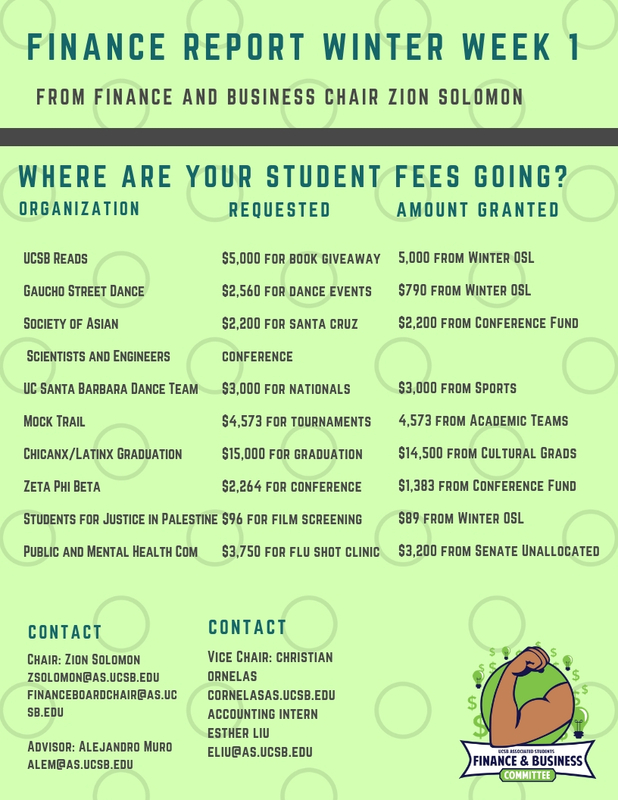 If you have any questions, concerns, or ideas about funding or about our committee, please visit our office hours or email financeboard@as.ucsb.edu. 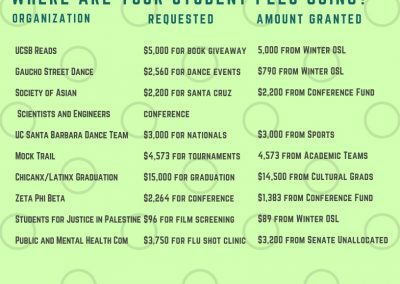 Each quarter, every UCSB undergraduate pays a fee of $210.61 to Associated Students. 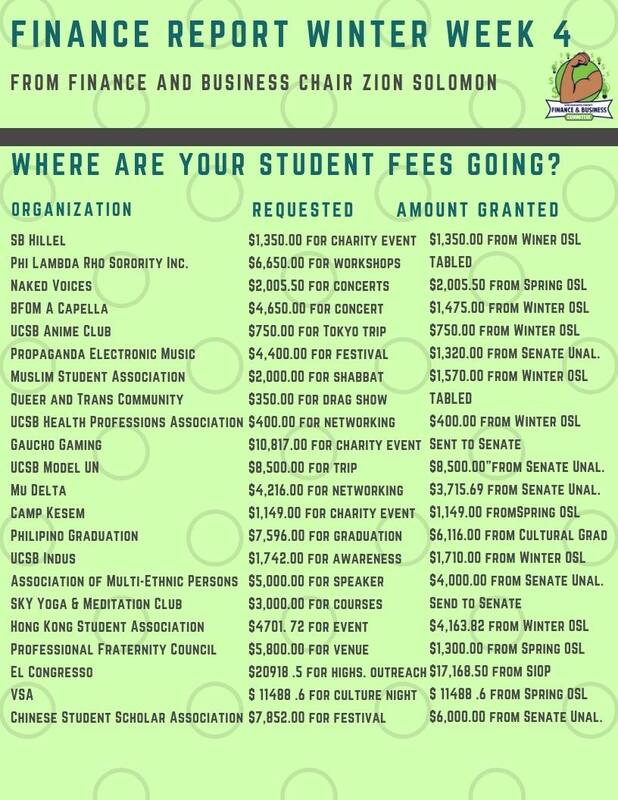 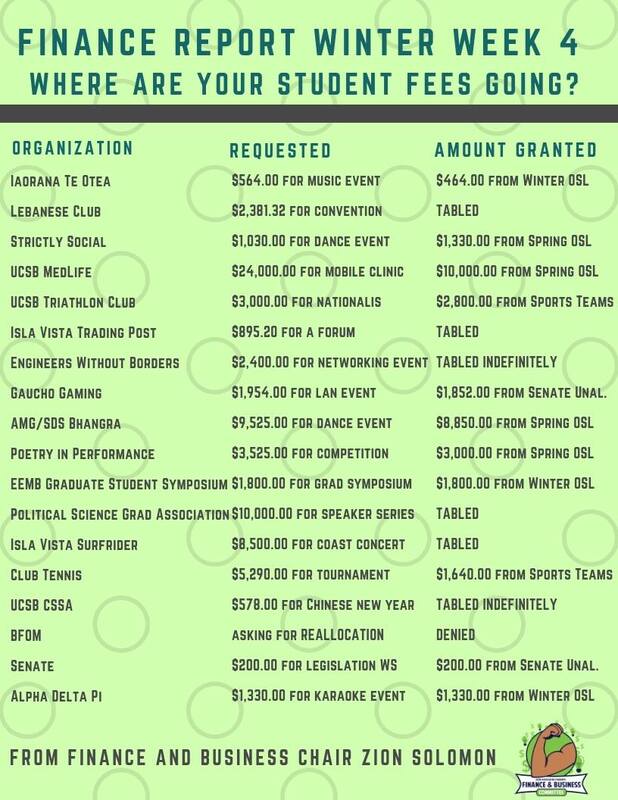 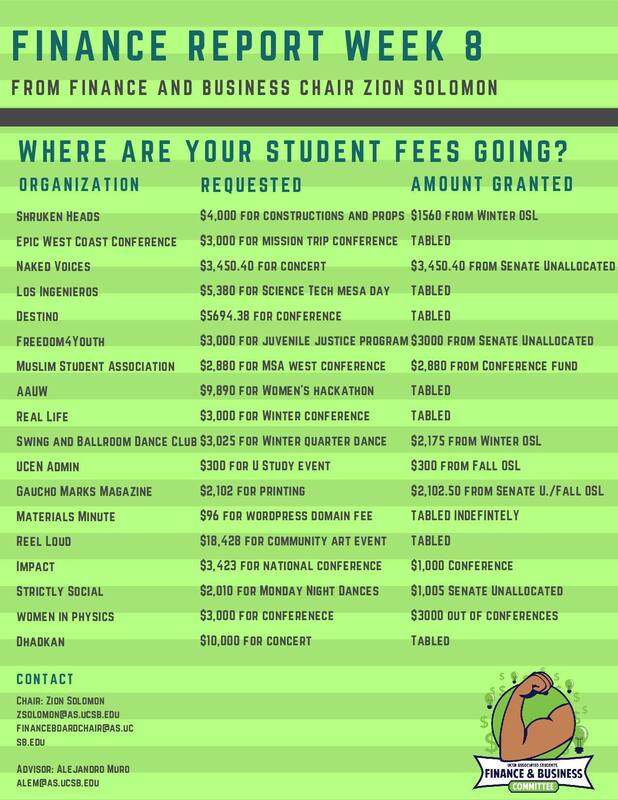 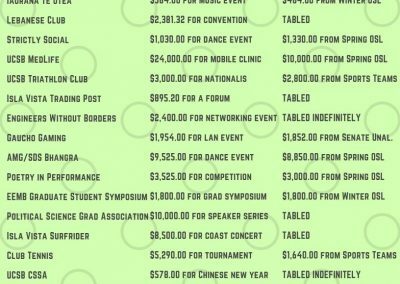 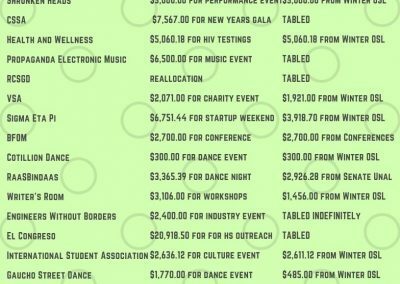 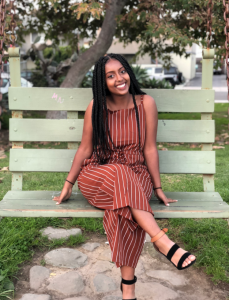 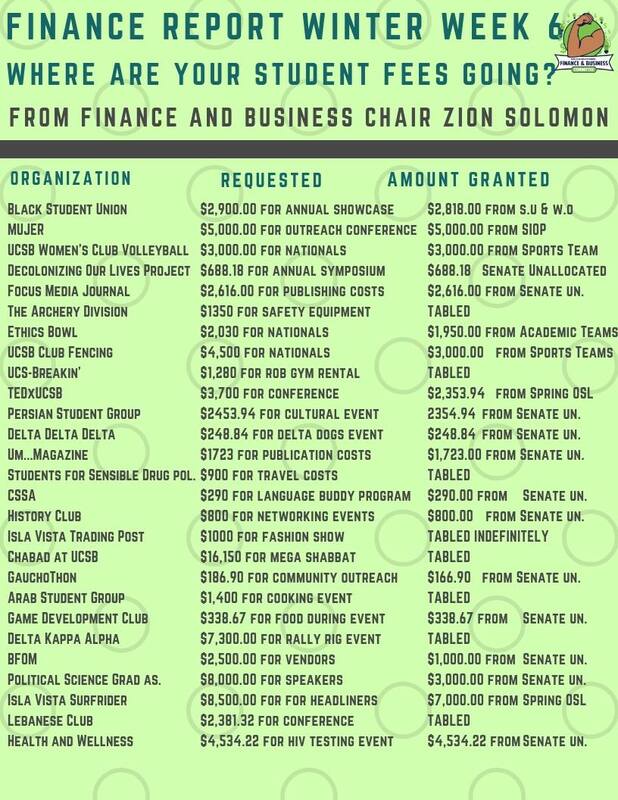 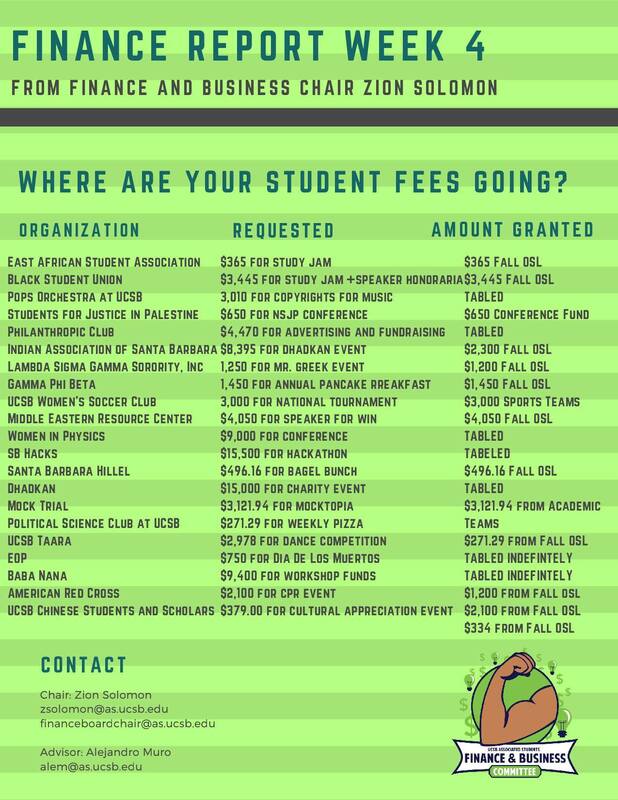 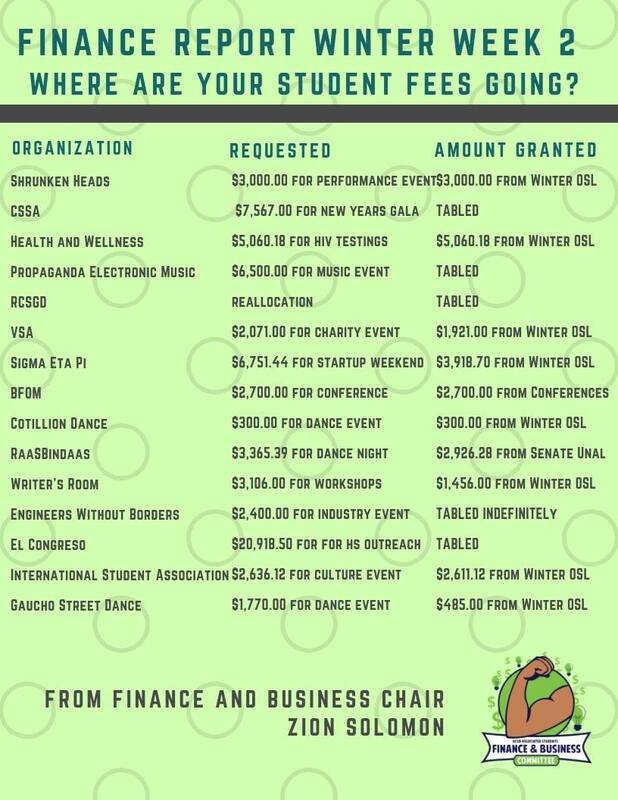 This fee supports a wide variety of operations of Associated Students that benefit the students of UCSB, the campus and the surrounding community. 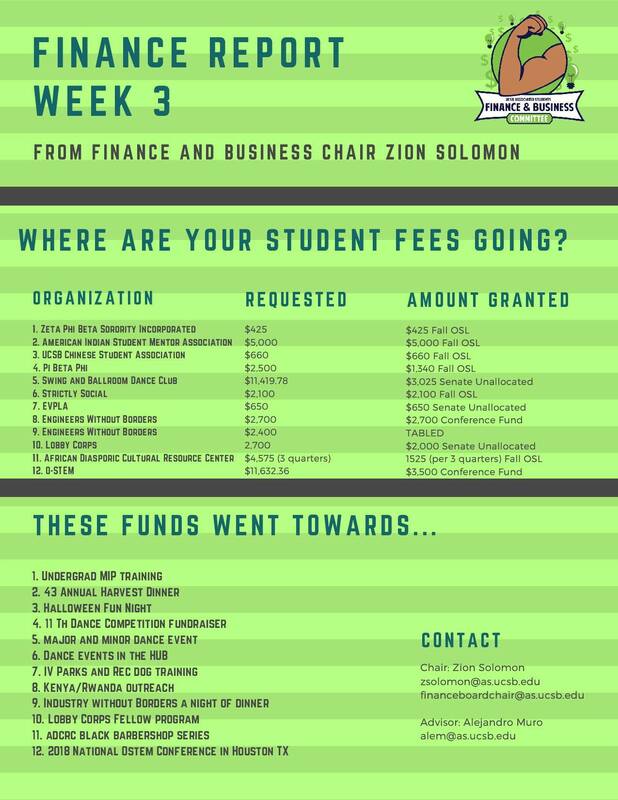 The charge of the AS Finance and Business Committee is to help registered student organizations put on successful events, provide necessary student services, hold conferences, and fund championship aspiring teams through the procurement of funds. 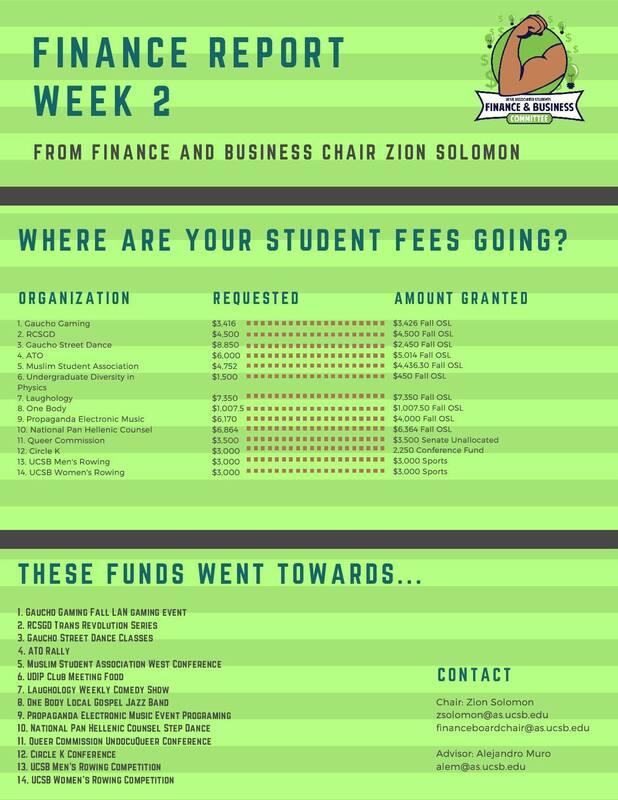 The AS Finance and Business Committee is composed of one Chair, one vice-chair, the Chief Financial Officer, 10 Finance Officers, and 8 Senators. 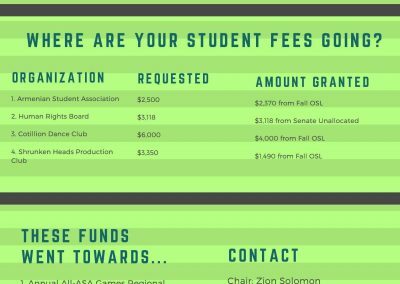 The student leaders who sit on the Finance and Business Committee are tasked with the careful deliberation and the decision of the approval of funding for student groups. 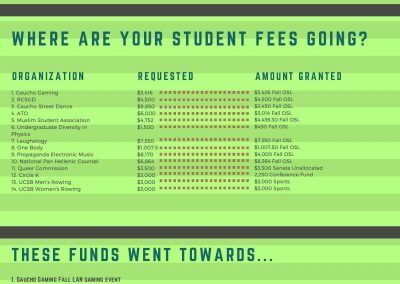 In order to be eligible to receive AS Funding, groups must have attended an F&B Workshop, completed an Authorized Signers Form, Submit a Budget Proposal, and attend an F&B Meeting, held every Monday at 4 PM in the State Street Room of the UCen. 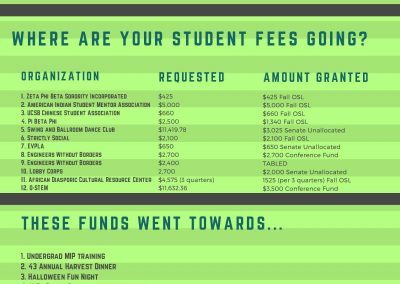 Groups must adhere to the policies and procedures outlined in this guide. 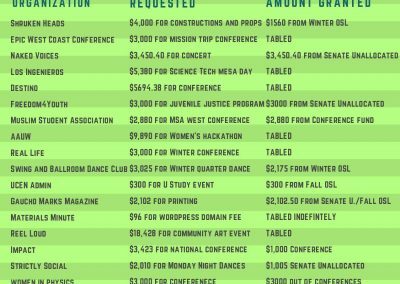 Groups must add their event to the AS Events Calendar, and include AS Logos in promotional material in order to complete their Funding Request. 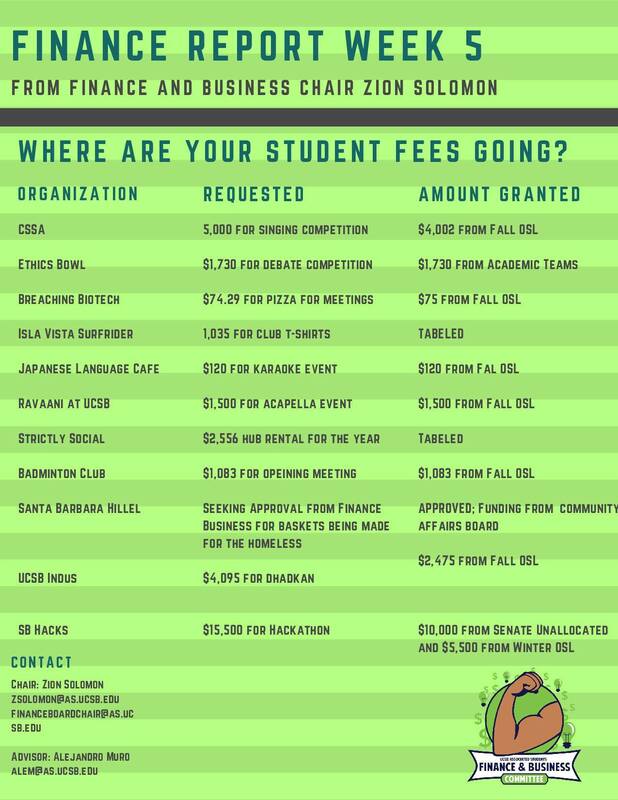 Reimbursements and Purchase Orders can be processed by filling out a Requisition Form, available at the F&B Office. 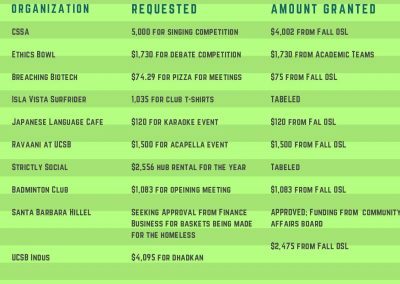 This Funding Guide is an abbreviated version of the complete AS Financial Policies and Procedures. 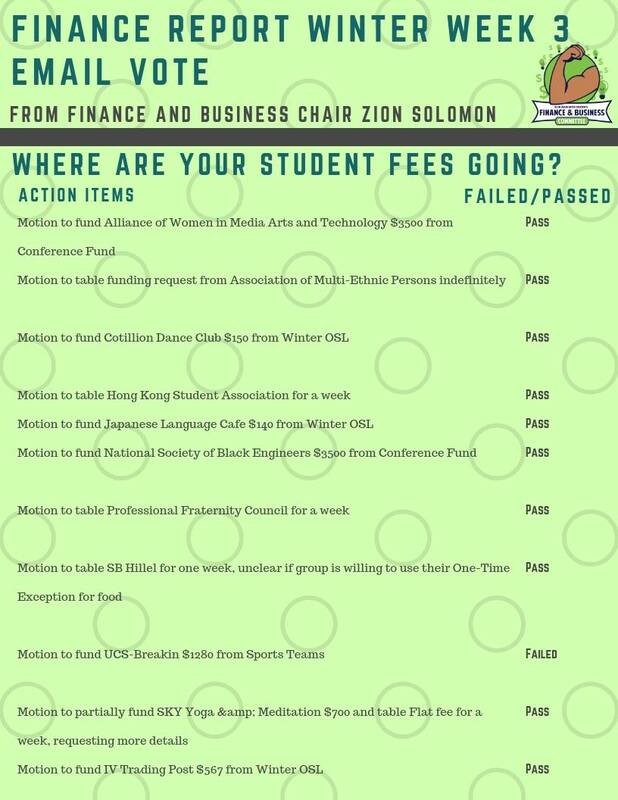 Please refer to the complete document for complete details and regulations. 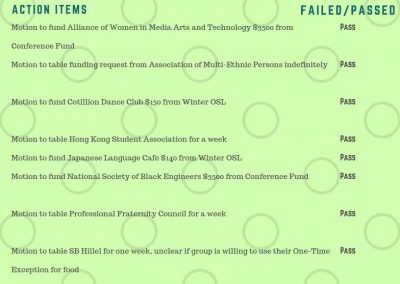 Failure to adhere to policy might result in loss of eligibility or an incomplete Requisition Form. 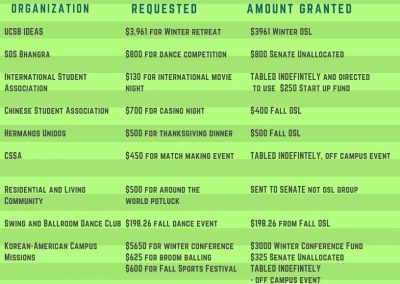 Good luck, and I hope that your organization finds this guide helpful in making your event a success. 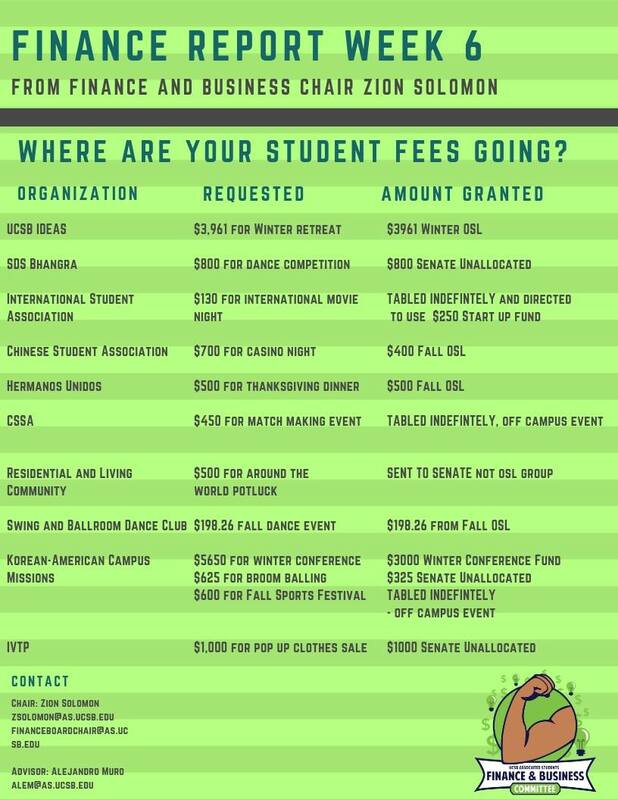 Please contact us if you have any further questions or concerns.